If you’re adding a garage or shed to your property, you can’t go wrong with the Colorbond garages & sheds available from the team at Aussie Made. 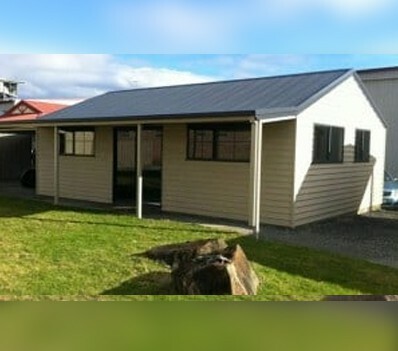 Based in Melbourne and serving Victoria, Aussie made provides Colorbond garages & sheds for industrial purposes, coastal environments, farming needs, and even for domestic family circumstances. The high-quality steel designs from Colorbond are well known for their attractive range of colours, but that’s not all. Colorbond garages & sheds from Aussie Made will be strong but lightweight, durable and convenient, secure and customisable. Every shed designed, installed, or sold by the team at Aussie Made is backed by Shed Safe accreditation, and the same thing goes for our Colorbond range. 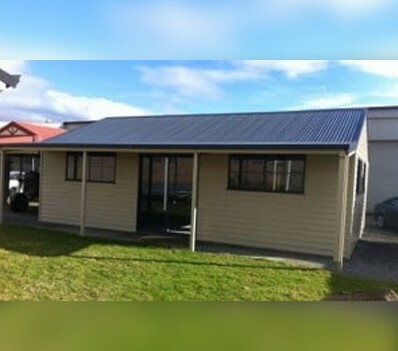 So, whether you need a Registered Builder to install a large storage shed or a smaller design for your garden, you can trust the building team at Aussie Made. Design your own shed with the team at Aussie Made and enjoy a durable, quality bolted structure that you can enjoy for years to come. Never Paint Your Garage Again! When it comes to Colorbond garages & sheds for sale at a great price, look no further than Aussie Made. We back up the best range of sheds and garages Melbourne has to offer with the competitive Colorbond garage prices and Colorbond shed prices. With affordable Colorbond garage prices, you can protect your vehicle or store your belongings for less, giving you peace of mind when it comes to your new purchase, as well as your bank account. If you’re interested in Colorbond garages & sheds for sale, request a free quote from Aussie Made today. There are no obligations at Aussie Made – just have a chat with our friendly team and we’ll recommend the best solution for you. Talk to the trusted distributor of Colorbond garages & sheds in Melbourne. Contact our Registered Builders online or request a free quote on our Colorbond products.